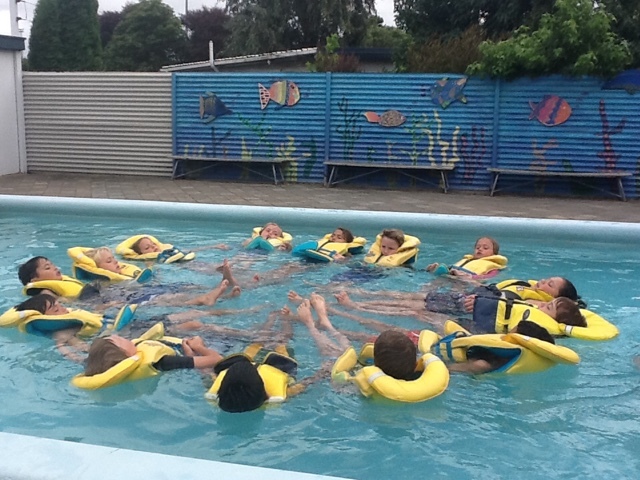 Although the weather wasn't perfect for swimming we still had an awesome time when we had the WHOLE school to ourselves for our swim day. 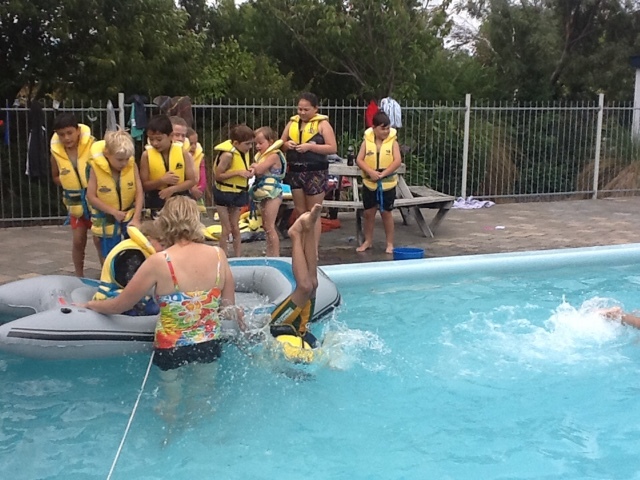 Joy was down in the pool with a boat and we got to try out wearing lifejackets. We worked together to build a water park with a waterslide and the sprinkler. We had water rockets but that ended up being a bit too hard to make work properly which just meant we had more time making the water park!! 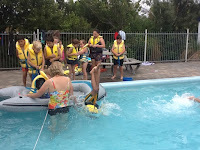 Finally Danielle helped us think about how boats carry such heavy loads when we were making tinfoil boats on the deck.